The Concolor Fir, which is also known as a White Fir grows to about 100 feet. The Concolor Fir is one of the most beautiful evergreens that is easy to care for. It has soft silvery-blue needles with an ashy gray trunk. The Concolor holds it’s needles best of any short needle evergreen and makes for a wonderful Christmas Tree. Concolor Firs require good drainage. The Fraiser Fir grows 40 to 60 feet in height with a spread of about 20 to 25 feet. They have a versy soft, shiny, dark green foliage with a silver underside. The Fraiser Fir is sometimes called the Southern Balsam Fir. They like cool, moist, well drained soil and do not do well in heavy, wet, clay soil. The Grand Fir reaches heights of 300 feet and is one of the tallest fir trees. The Grand Fir displays needles in two distinct rows usually horizontally spread so that both the upper and lower sides of the branches are clearly visible. The needles have glossy dark green tops and two highly visible white lines of stomata on the undersides. 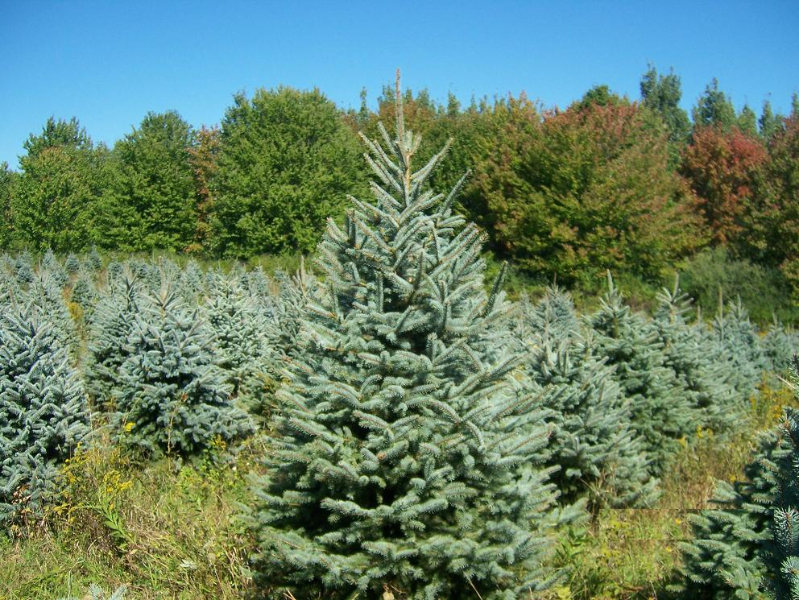 The Colorado Blue Spruce has stiff, silver-blue to green needles about 1 inch long. The Colorado Blue Spruce is an ornamental specimen in a single planting, dense, colorful screen or windbreak. It is native to the Rocky Mountain states and is one of the most beautiful evergreens. The Norway Spruce grows 75 to 80 feet high with a spread of about 35-40 feet. Norway Spruce have a dark green foliage and do well in average soil conditions, however they prefer moisture to maintain the dark green foliage. As Norway Spruce mature, their branches will droop to make a very beautiful ornamental tree. 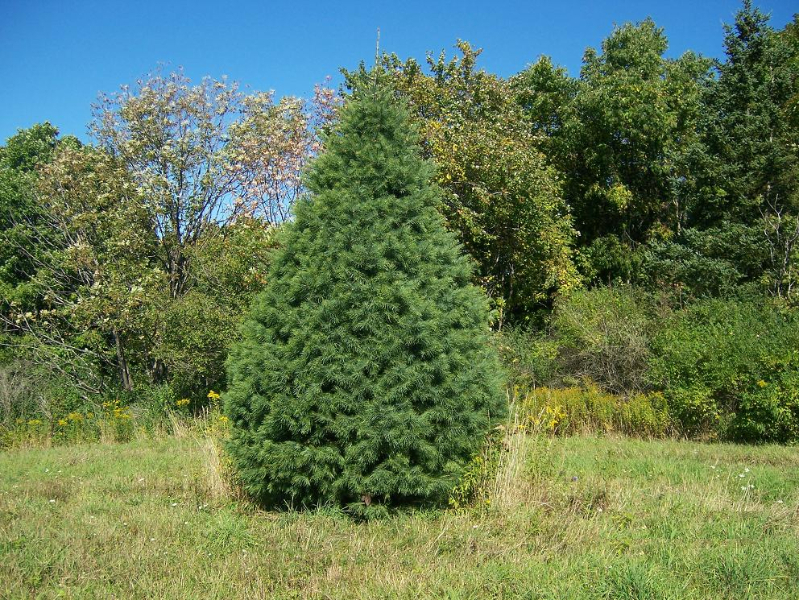 White Pines are fast growing and reach heights of 90 – 100 feet with a spread of 25 – 40 feet. They have a light green-blue needle and will tolerate dry, rocky soil, or wet, swampy areas. White Pines make an excellant ornamental tree. 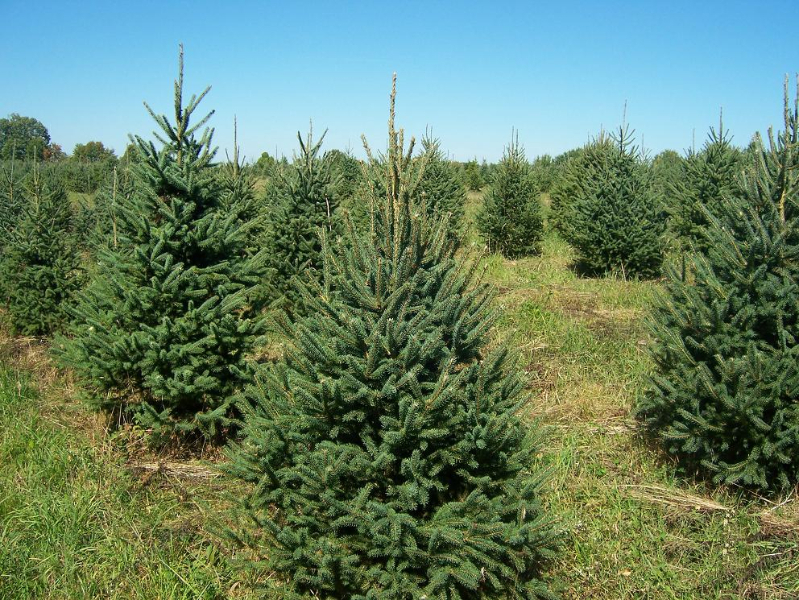 The Balsam Fir has a spread of 50 to 75 feet and grows 50 to 75 feet tall. Balsam Firs prefer moist, well drained, acidic soil. 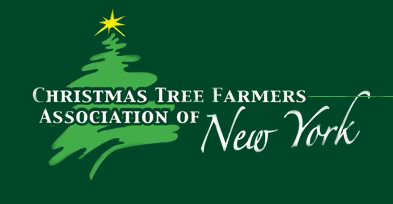 Balsam Firs are a favorite Christmas and ornamental tree and require very little maintenance. Yule Tree Farms offers a variety of 3′ potted living evergreens available in the following species, Frasier Fir, Norway Spruce, White Spruce, and Colorado Blue Spruce. Our easy to handle pots are ideal for landscapers and homeowners for all four seasons including Christmas time. Yule Tree Farm’s potted living evergreens are a perfect tree for the environmentally conscious family. 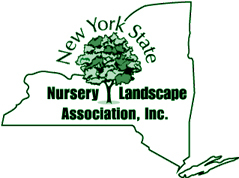 Limited Quantities of smaller trees (4’- 6’), ask for details. All trees are sold, cut, baled, and loaded. 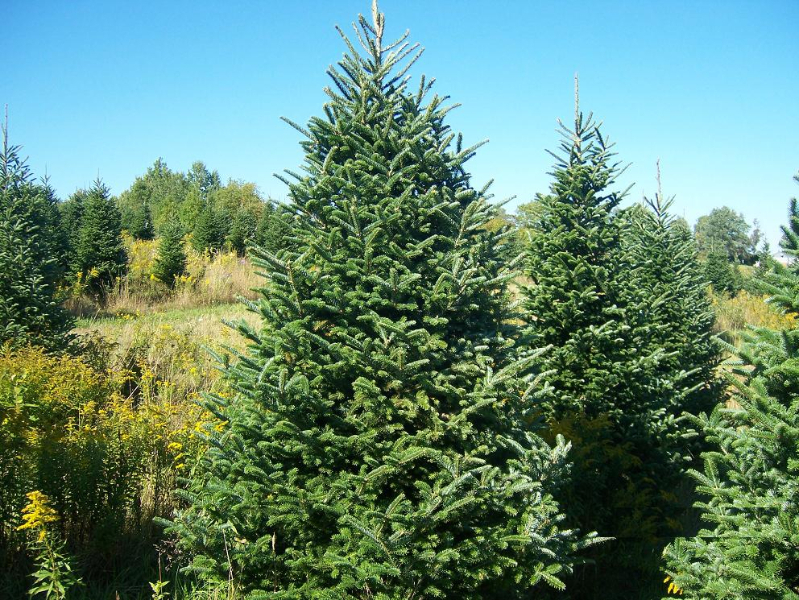 25’ – 30’ cut Concolor Fir available. Call for pricing. Updated on 2016-08-23T16:56:38+00:00, by admin.